XGrass is part of The Recreational Group, a family-owned family of companies, dedicated to the design, manufacturing, and installation of premier recreational surfacing solutions. Having access to these company's innovative products and highly-trained design and installation professionals allow us to truly Bring Space to Life. VersaCourt is a leading manufacturer and designer of court tile systems used in the development of both outdoor and indoor courts. 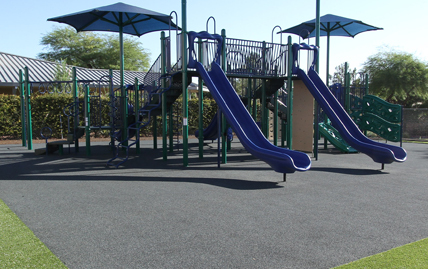 Its outdoor tile systems offer a safe, colorful and low maintenance alternative to traditional asphalt and concrete courts while its indoor tile systems help transform gyms and other recreational areas into multi-purpose fun zones. While traditional landscape architecture is focused on developing practical and pleasing outdoor living space, Lanmark Designs adds elements of fun, activity and healthy living. It starts with an idea. 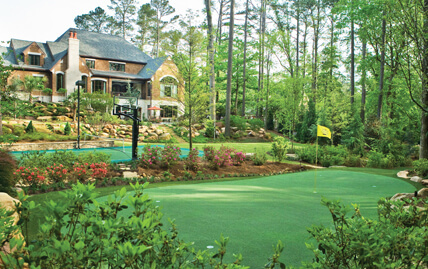 Lanmark Designs blends the core elements of landscape design with innovative, environmentally-friendly surfacing from XGrass, Play It Surfacing, VersaCourt, Tour Greens and Mulch Outfitters to create spaces that truly come to life. 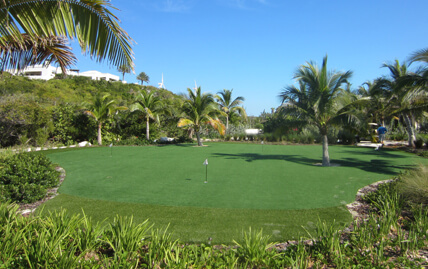 Tour Greens is the premier designer and installer of tour quality synthetic golf greens. Tour Greens putting green systems provide a revolutionary short game practice area that reacts like a real bent grass green, without the daily maintenance. Tour Greens is the choice of numerous PGA Tour professionals because the greens provide the realistic feedback they need for quality practice time. Simply put, Tour Greens Short Game greens are the most attractive, highest-performing golf practice surfaces available anywhere. Play On Courts knows that every game is won in the details and a matter of inches or seconds can make all the difference. 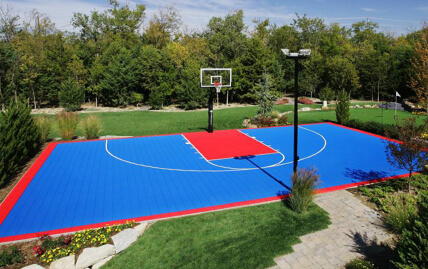 As a designer and installer of wood, synthetic and court tile courts, Play On Courts handles every aspect of your project, from product selection through installation, warranty and follow up. They know what it takes to win - and they deliver every time to help keep you playing on for years to come. 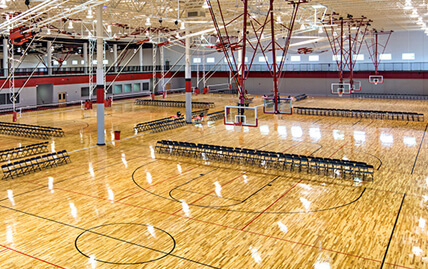 Play It Surfacing provides innovative rubber surfacing solutions that allow kids to play safer, athletes to train harder and architects to design cooler. Its experienced professionals know that the secret to a high performance, long lasting rubber surface lies in expert design, service and installation and they have a proven history of performance. 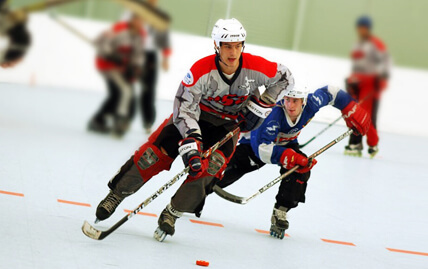 IceCourt is the trusted choice for inline hockey and roller derby professionals. Its surfacing was specifically designed for championship-level play - providing ideal wheel friction and perfect puck glide on a seamlessly smooth surface. Mulch Outfitters manufactures, supplies and installs premium Engineered Wood Fiber (EWF) playground surfacing from reclaimed wood. 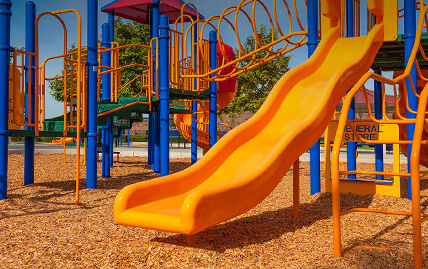 Developed to meet or exceed the strict standards of the ADA, CPSC, ASTM and IPEMA, this premium EWF looks exceptional and is considered one of the safest playground surfaces on the market for fall height attenuation. 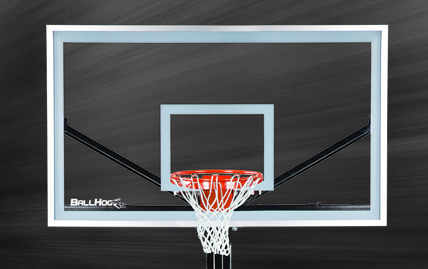 Ball Hog goal systems represent the evolution of the basketball goal. These over-engineered systems are designed to outperform and outlast the competition. They are proudly MADE in the USA by skilled American welders and backed by limited lifetime warranties and outstanding customer support.